This original and professional instructional video is designed, performed and presented by Nicky Haslam, Founder of Ceroc in Australia, partnered by Robert Winter, Australasion Open Ceroc Champion. Ceroc is a fusion of many styles of dance including Latin, Salsa, Jive and others. 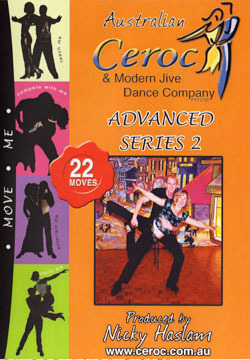 Fun and easy to learn, Ceroc is best described as a "free-form partner dance" which has eliminated or simplified much of the complex footwork of partner dance. 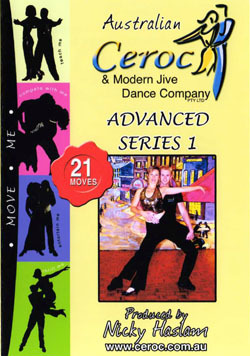 By learning Ceroc you will be able to dance in nightclubs, at parties or wherever music is playing, as it can be performed to all popular modern music, e.g. chart hits, blues, swing, techno and most Latin music. 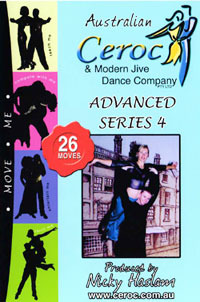 and many more stylish social dance moves! Order on-line or order by post if you wish to pay by cheque.